It lies right off the autobahn exit and yet on the peaceful, idyllic outskirts of Salzburg, surrounded by the imposing mountain scenery of the Untersberg: Kavalierhaus Klessheim. Experience a tangible atmosphere of total ease, sincerity and culinary highlights - here in what is probably the most charming event location in Salzburg. 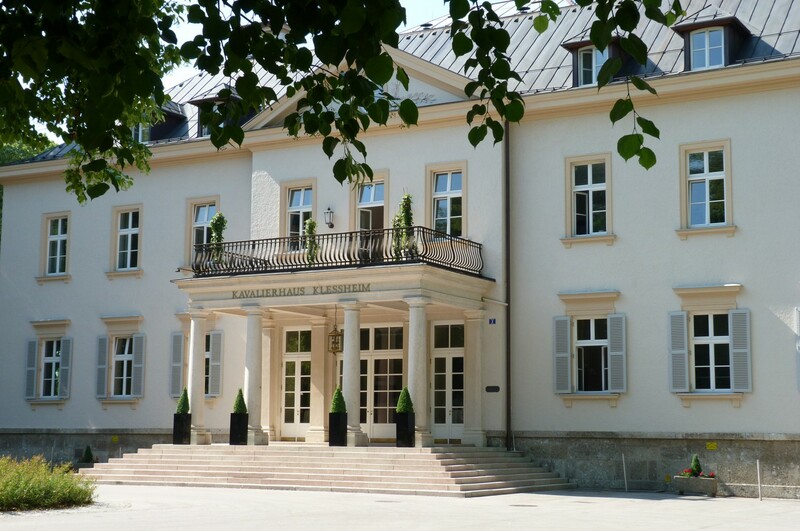 Whether a wedding, seminar, workshop, dinner party or special business celebration - the Kavalierhaus provides the perfect setting for every occasion. Look forward to a total of 540 square meters - divided up into 5 event spaces, each of which you can customize for your special event in Salzburg. Including a sincere atmosphere and top quality. Including state-of-the-art technology and exquisite, gourmet-caliber event catering. The historical rooms of this event location and a modern winter garden create the ideal atmosphere for every occasion - whether wedding, seminar, dinner party or business celebration. You will quickly see - anyone who experiences Kavalierhaus Klessheim even just once, is sure to return time and time again. Come see for yourself! We look forward to meeting you in person!